Peter was born in 1912 in Papua New Guinea. He was the son of the village Chief and his family converted to Catholicism when he was young. His father taught him the catechism and when he was old enough he sent him to school with the missionaries. Peter was very kind and would help those in need. He once thought about being a priest but instead decided his calling was to be a catechist so he went to University to study and was commissioned as a catechist for his town. He was an excellent teacher and very popular young man in his village. Peter married Paula in 1936 and they had three children. They would pray every morning together and had a beautiful marriage. In World War II, when the Japanese troops occupied the region, the priest was forced to leave so Peter was entrusted with the local parish to keep it going. He stood up for his religious values in the face of the religious oppression that the troops brought. He held secret prayer services even when the soldiers restricted all pastoral activities. When the church building was destroyed by the soldiers, Peter built a secret church place in the woods where the people would go to pray and have meetings there. Peter had to defend the sanctity of marriage and protect the women in his village from the soldiers. This annoyed the authorities a great deal and he was being monitored by spies so that they could look for an excuse to arrest him. 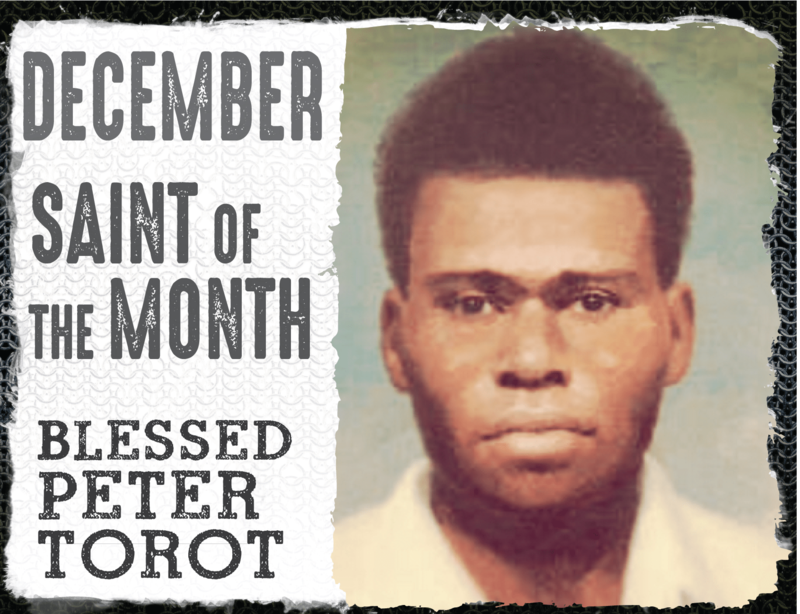 After the police searched his house and found religious articles, they arrested Peter on Christmas day. Peter was taken before the chief of police who questioned him whether he was teaching the faith. Peter admitted that he was teaching the faith and he was imprisoned in a small windowless cell. He was later sentenced to two months in a concentration camp. He spoke to his mother and told her that he was sure he would die in the hands of the soldiers. He was right and the guards gave him a lethal injection shortly after. 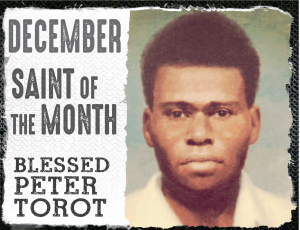 When the police returned to the town to tell the people of his death, there was an uproar and the soldiers lied saying that Peter had fallen ill. Pope John Paul II declared him a blessed and martyr in 1995.